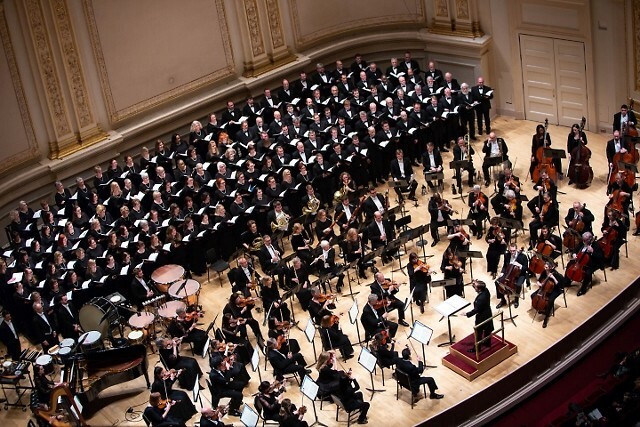 The Grand Rapids Symphony has conquered Carnegie Hall. Once again. 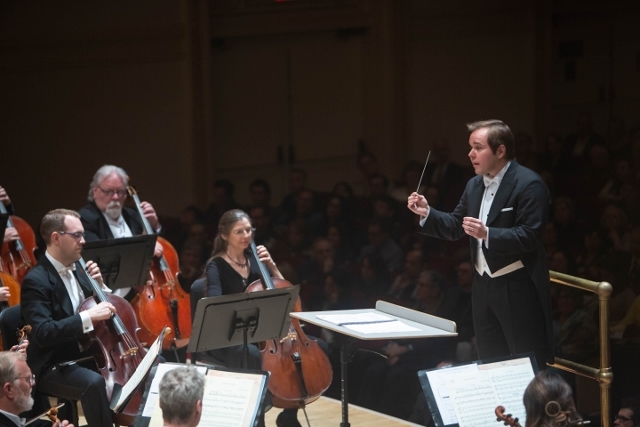 Nearly 13 years after setting foot on the storied stage for the first time, the Grand Rapids Symphony returned to Carnegie Hall on Friday, April 20, with an exciting evening of Brazilian and Spanish music. Marcelo Lehninger, in his second season as Grand Rapids Symphony Music Director, led the orchestra in music, some of which hasn’t been heard in Carnegie Hall since 1959. 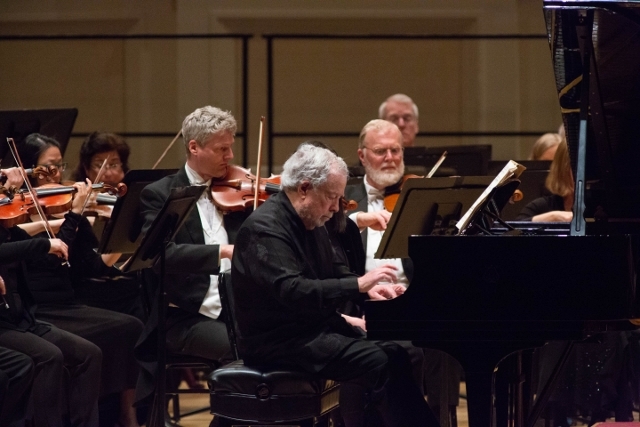 Pianist Nelson Freire, who has performed in Carnegie Hall with the Boston Symphony Orchestra and the St. Petersburg Philharmonic, made his fifth appearance in the 127-year-old auditorium. 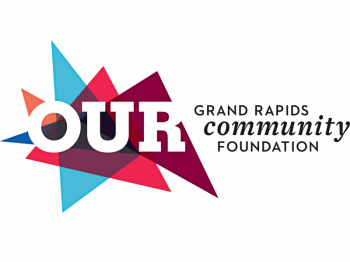 The Grand Rapids Symphony Chorus, whose director, Pearl Shangkuan, has conducted and sung previously in Carnegie Hall, made its debut. Ravel’s Bolero opened the concert with the softest pianissimo imaginable, so soft that some might in the audience might have wondered whether the music had started. The audience of well over 2,000 didn’t have to wonder for long. 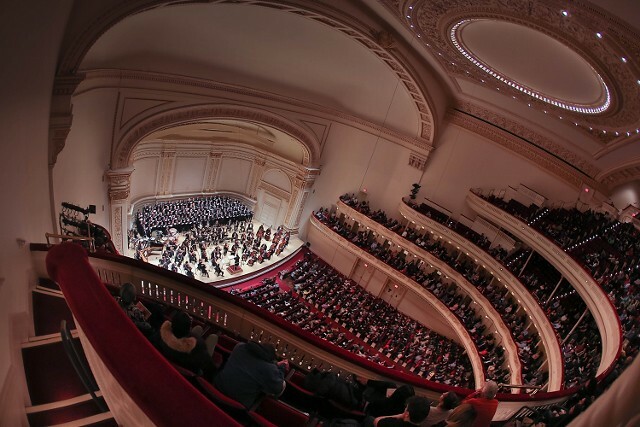 By the end of the evening some 220 singers and instrumentalists had filled the auditorium with sound for Heitor Villa-Lobos’ Chôros No.10 “Rasga o Coração” (It Tears your Heart), which has been performed only a handful of times in Carnegie Hall. Villa-Lobos’ Momoprecoce, with Freire at the piano, has been heard just once before by Eugene Ormandy and the Philadelphia Orchestra in 1959. Both are material that Lehninger and Freire, Brazilians as well as old friends, were uniquely positioned to perform for an audience that included a number of Brazilian Americans and Brazilians as well. 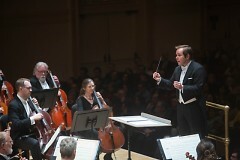 Lehninger, who beamed broadly at his musicians throughout the evening, led a performance of full of nuanced expression and attention to detail in his second podium appearance in Carnegie Hall. Widely regarded as one of the world’s greatest pianists, Freire is precision and poetry all in one package. He performed with obvious affection for Momoprecoce, inspired by Villa-Lobos’ memories of childhood during the famous Carnival in Rio de Janeiro. 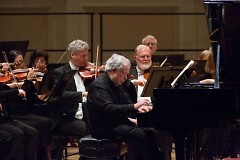 The 73-year-old pianist gave an effervescent and energetic performance of the piece full of nostalgia. Watching his fingers work their magic at the Steinway was a wonder to behold. Other pianists perform with heft and bravura. Freire is a charmer at the piano who coaxes an otherwise percussive instrument into singing. Manuel de Falla’s Nights in the Gardens of Spain, an enchanting piece of music that’s all about atmosphere, is right up his alley. The full effect of Freire’s poetry was on display in a whirlwind of sound and color. Greeted with a standing ovation, Freire gave a cheeky performance of Golliwod's Cakewalk from Claude Debussy's Children's Corner Suite as an encore. It’s an adventurous enough to sing in Portuguese, but Villa-Lobos also calls about the singers to recite as well. It’s fairly short piece, full of bellicose solos in the orchestra. It packs an emotional wallop that filled even a cavernous 2,800-seat auditorium. In sharp contrast, the orchestra and chorus offered as an encore and achingly beautiful performance of Gabriel Faure’s Pavane in F-sharp minor a soft, soothing work made all the more poignant by the fact that the Grand Rapids Symphony’s return to Carnegie Hall was put in motion by its Vice President Roger Nelson who died unexpectedly last spring. One would like to believe that Nelson, who rose from the ranks of a musician playing double bass to general manager and chief operating officer, was listening in and was pleased.